One of the most important things in SEO is, arguably, keywords. These search query terms are how search engines like Google understand the intent of a search. There also how SEO experts tailor content – whether it’s the landing pages, external articles or paid adverts – that they produce. In short, keywords help link all of your SEO efforts together. This is why you need to take great care to craft a synergistic strategy between all of your methods. For example, your website pages all need to trigger specific terms, and your paid adverts and external content also needs to feed into this. Otherwise, you might get something that ranks highly in one area (such as organic traffic), but poorly everywhere else. Your homepage is a strong contender for organic positioning but that doesn’t mean you should target every keyword relating to your website or business. By avoiding the long tail keywords and niche terms you’ll use deeper into the site, you can avoid keyword cannibalism. Long tail terms, individually, don’t offer much traffic. But when you spread them out over your website, it all adds up. As Neil Patel, argues, it can generate as many as 20,000 new visitors. It’s also important to remember that long tail queries represent a different user intent to broader terms. The long tail is where users are looking to buy, subscribe and convert. Start prioritising these terms to specific pages. Leave the broad terms for the home page and more general areas of the site: this is where people at the top of the funnel can be sent via organic traffic. Want more proof that this works? Amazon, one of the biggest companies in the world, gets 57% of its book sales from long tail results. https://72gpf1za5iq428ekh3r7qjc1-wpengine.netdna-ssl.com/wp-content/uploads/2015/12/image051.jpg – this is a pretty basic graph, you can probably make a better one yourself. Once you know exactly where you’re trying to get users to arrive, you need to pair these up with keywords. For example, if you’re running a clothing shop, you shouldn’t just have “shoes” as a term for numerous pages. This might work for the main category page, but you should have deeper pages use more specific terms – such as “sports shoes” or “high heel shoes” - and strongly reflect this in the copy. This then matches your PPC campaigns. 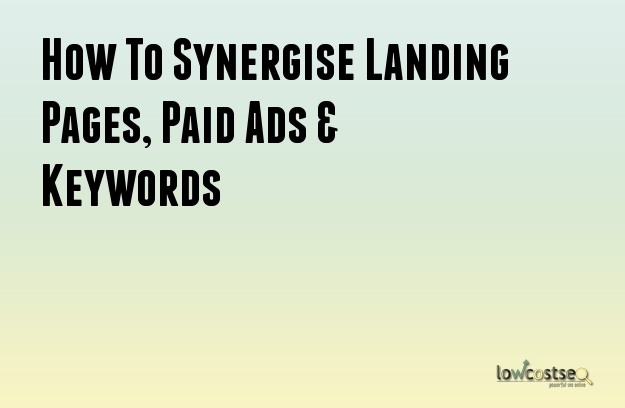 You have specific adverts for specific keywords, which in turn lead to tailored, dedicated landing pages. How effective can this be? According to one case study by Andy Beohar of SevenAtoms, it helped improve conversion rates by 290%. Because everything is consistent across all of your SEO, users are significantly much more likely to find what they where looking for. Link building is always a vital part of SEO. Of course, this also involves keywords. At this point, you have an understanding of your website structure and you’ve clearly defined which queries should be sent to specific pages. Now, you should consider generating high quality links – both to guide new traffic in and to improve your organic visibility in these areas. Creating content for other platforms is a great way to drive traffic – especially if you’re able to choose or determine the exact keyword that links back (as well as the URL, naturally). Of course, you have to adapt to your own personal strategies. Commercial sites might struggle to get commercial links on various platforms, but they can use review sites and other specific websites related to their industry. Likewise, for areas where a commercial link isn’t viable, creating a blog is a good way to catch long tail keywords (such as fashion guides) that can then link to your product pages. Sure, it isn’t generating link-juice where you want it, but it will pick up traffic and target a key area of the sales funnel. Alternatively, you can also promote any content that is worth sharing. This is why people publish case studies, produce blogs with unique content, create infographics or otherwise create content that doesn’t generate direct profits, but gives their target audience something they want. People share this, building links back. So, that’s the long explanation. In short, your landing pages, external content and PPC should all be pushing users via carefully selected keywords and URLs. This also involves adapting to queries you think you can target and taking the opportunity when you see it. In this example, over at Niche Project, Doug Cunnington, found a long tail term that he wanted to target, created a specific page for it and promoted it, gaining links and quickly pushing up through organic rankings. It wasn’t the most popular keyword, but at 250-300 monthly searches, it represented 250-300 users that he actually wanted. User intent is always vital. There’s no point pushing for popular keywords if the landing page doesn’t match what the user wants. This will leave you with a high bounce rate and low conversions. You should also keep in mind that Google’s algorithms are getting smarter and smarter. Semantic searching and user intent are becoming more prominent. As such, if your content is genuine and on-topic, Google will often pick out all of the various keywords that are related to your content. When Madfish updated a clients website in their case study, they found organic traffic for non-brand keywords rose by 28.69%, with many new keywords ranking highly. This can happen without stuffing an entire text with keywords. Google is smart. It can pick up on various words and make the logical connections between your content and a user’s search query. In other words, don’t force every single keyword onto the page. Think about the key terms you wish to target (and remember to keep long tails in mind), linking back to your PPC and external content, and the rest will take care of itself. You can then build upon this with period A/B testing. In SEO, nothing is set in stone, so don’t be afraid to adapt and change: just don’t worry about every little detail all at once. Sometimes you need to see the forest through the trees.